One of the greatest British Artists Laurence Stephen Lowry is unanimously one of the teams all time favourite artists. The stunning industrial scenes and very distinctive styles make his work stand out amongst all others. The well know match stick men and depictions of the North West area of the UK, are simply stunning and unique. The majority of his paintings were of Pendlebury in the Lancashire region of the North West. This was were he worked and also lived for over forty years. There is a fantastic gallery dedicated to his work, in Salford Quays in Manchester. The name of the gallery is of course aptly named “The Lowry” and is a fantastic place to look over some of his finest masterpieces. 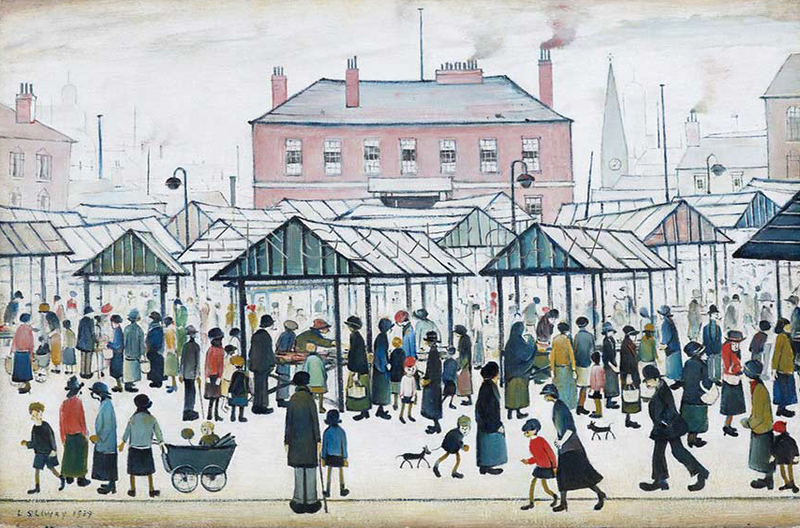 L. S. Lowry is by far one of the greatest British Artists, and remains the record holder of the most turned down “British Honours” including a Knighthood in the late 1960’s. We have added one of our favourite pieces below for everyone to enjoy.